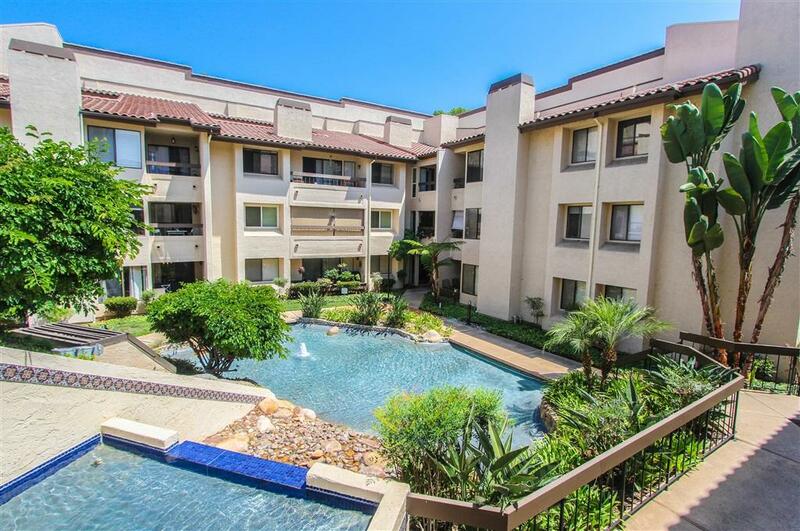 Perfectly located 3-bedroom 2-bathroom condo in the heart of Mission Valley. This spacious property is just minutes away from the beach, Fashion Valley Mall, University of San Diego, Trolley Stop, Sea World & is adjacent to the Riverwalk Golf Club. This 2nd floor condo receives plenty of natural light, has beautiful bamboo hardwood floors & custom-made wood counter-tops. The condo has 2 separate patios, one of which overlooks a peaceful water feature in the common area courtyard and the ...(MORE Below) (Continued Public Remarks)....other is attached to the master bedroom. The complex has a pool, Jacuzzi, gym, grills, garage, guest parking spaces and recreation room. Don't miss out on this great opportunity to buy in a desirable area of San Diego! Listing provided courtesy of Sync Brokerage, Inc. Listing information © 2019 San Diego MLS, Inc.